This high-tech valve analyzes water flow in your home’s supply lines to detect leaks and can shut off the water in the event of a catastrophic break. 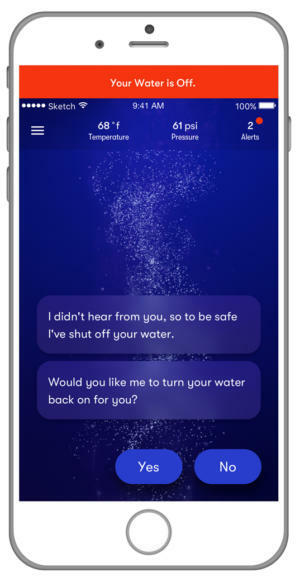 The Wemo Water with Echo Technology was designed to be attached to any water supply inside your house, where it would monitor the pressure and warn you of leaks or breakages anywhere in your home’s plumbing. But that was all it could do. If a pipe burst, you’d have to shut off the water supply yourself. Phyn Plus is a much more ambitious product. Installed in line with your home’s main incoming water supply, it will monitor and measure micro changes in water pressure to alert you when a leak is detected. In event of a catastrophic failure, such as a burst pipe, it can shut off the water supply to prevent damage. 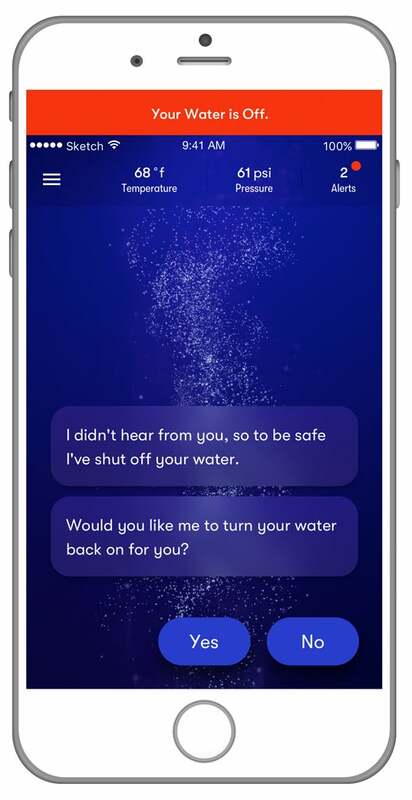 Phyn Plus will warn you when it detects a water leak and can shut off your water supply if you don't respond, to preven your home from being damaged. Phyn says its ultrasonic sensors measure water pressure 240 times each second to capture the unique signature of each fixture in your home, and that its device can identify issues ranging from faucet drips to pinhole leaks to frozen pipes. Algorithms analyze pressure changes along with water flow rates and water temperature to distinguish between normal water flow and a water leak, a frozen pipe, or other anomaly. Phyn Plus will cost $850, but it won’t be available to DIYers, at least not in its early days. Phyn the company is a joint venture between majority stakeholder Belkin and Finnish plumbing manufacturer Uponor (pronounced “up-uh-nor”). Uponor, incidentally, invented PEX tubing, a building material that’s displacing copper tubing in modern construction because it’s cheaper, easier to work with, and more durable. If you want Phyn Plus installed in your home, you’ll need to live in one of the 30 markets that Phyn is targeting for launch, and you’ll need to contact one of Uponor’s Pro Squad plumbers.